I’ve got some gorgeous, interesting, entertaining book recommendations for you today. 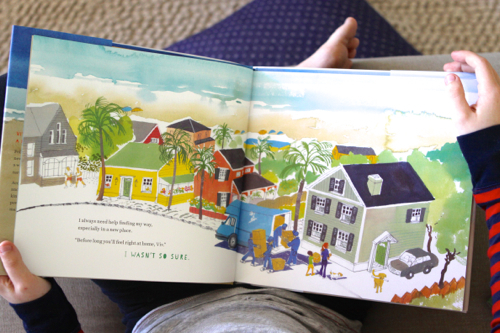 And even though the title says 4 Picture Books, my last pick isn’t a picture book at all — it’s about kids + money. But we’ll get to that at the end. 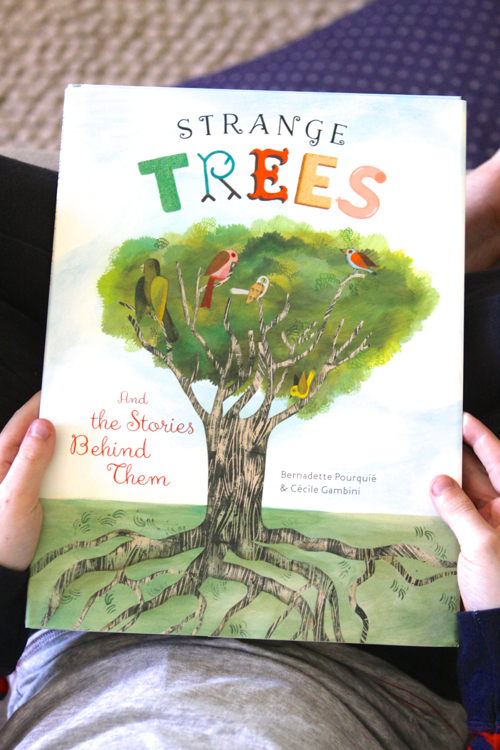 First up, I want to introduce you to Strange Trees: And the Stories Behind Them by Bernadette Pourquié, with dreamy illustrations by Cécile Gambini — both based in France. This one is for your little future botanist. 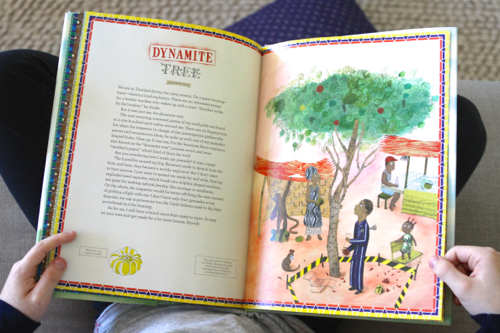 This book features very real trees, with nicknames that sound completely made up — Ghost Tree, Rainbow Tree, Chocolate Tree, Upside Down Tree, Sausage Tree, and many, many more. 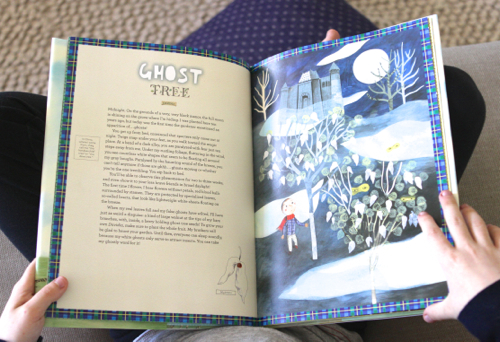 Each tree gets a two-page spread, with fascinating facts and tidbits about the tree on the left, and an imaginative, beautiful illustration on the right. 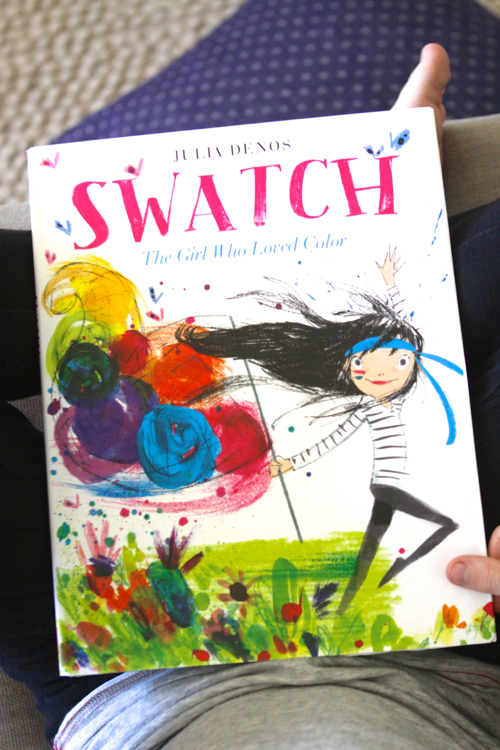 Next up is Swatch: The Girl Who Loved Color, by well-known illustrator Julia Denos. This book introduces a vibrant new character, a wonderfully wild girl named Swatch, to your children’s world. This book is perfect for little artists. Swatch is a color tamer — she can train colors to do anything! The illustrations are amazing. The text is brief, but smart — lots of good vocabulary. 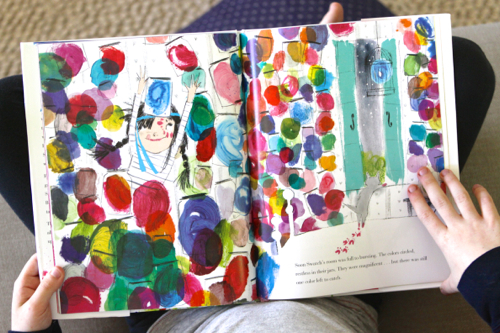 Every page will make your kids (and you) want to pull out a paint brush and put some of your own colors on paper. 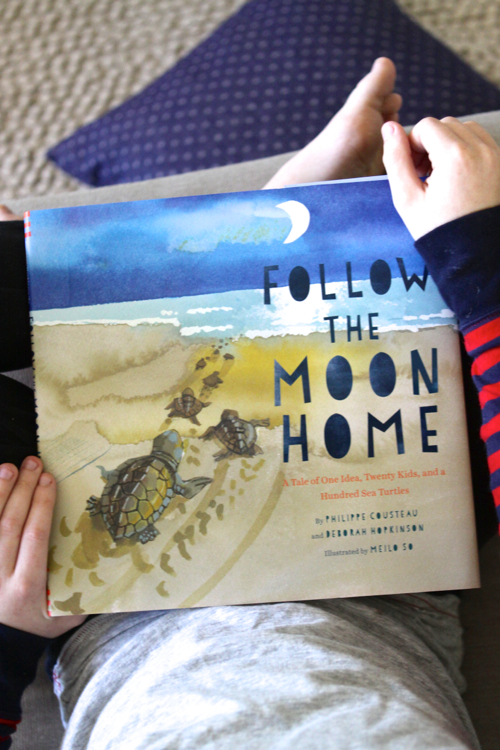 And now we have Follow The Moon: A Tale of One Idea, Twenty Kids, and a Hundred Sea Turtles. Written by Philippe Cousteau and Deborah Hopkinson, with illustrations by Meilo So. This one is a book for those kids who are looking to save the world but aren’t quite sure how to start. Viv is new to town, and discovers there’s a simple thing the town can do to help the local sea turtle population. In the book, we see what it looks like when a community comes together, and we see the real things kids can do to make a difference. Last up today is How to Turn $100 into $1,000,000: Earn! Invest! Save!, by James McKenna and Jeannine Glista, with Matt Fontaine. 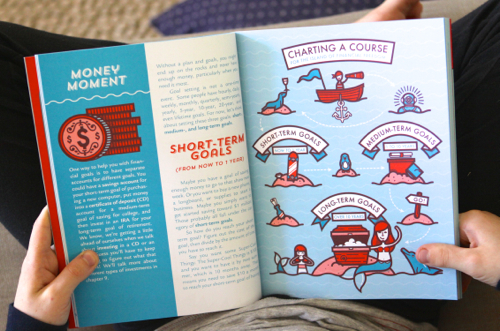 It’s a comprehensive guide to earning, saving and investing — but it’s written for kids, so it’s encouraging and funny and easy-to-understand, instead of intimidating or overwhelming. 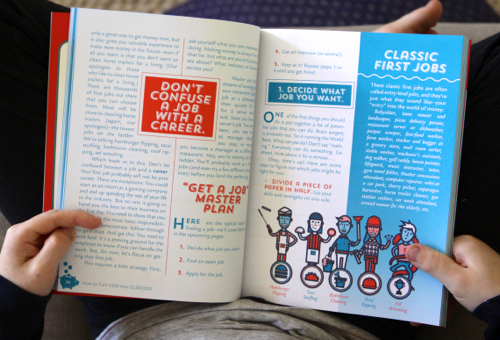 This one is aimed at kids in the 10 – 14 age range, but we gave it to Maude when she was 16 and she still found it useful and inspiring. 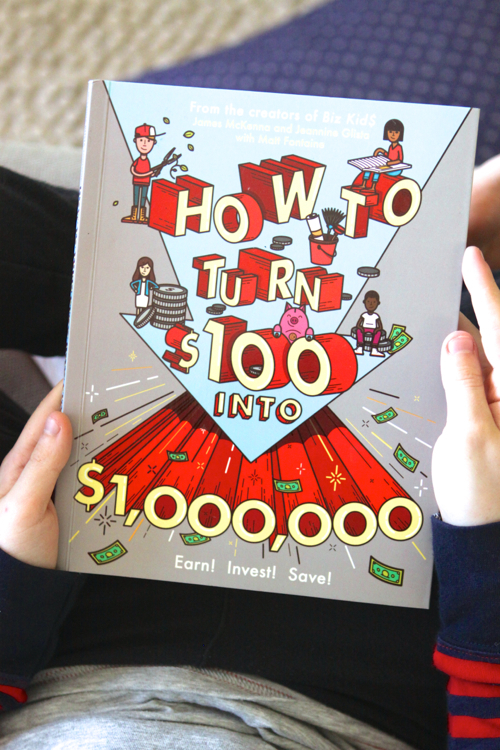 If you’re looking to raise financially savvy kids, this book is a good one to add to your collection. I would have loved something like this as a kid! Now it’s your turn: What are your kids reading this month? Anything especially good that you’ve been recommending to friends and family? I’d love to hear! P.S. — Here are all my children’s book recommendations. 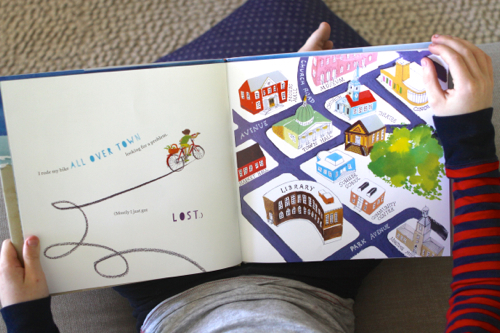 What a beautiful book … I think that my kids would like this too! Thanks for the recommendations. I just stumbled across a book on Amazon titled Miss Moon: Wise Words from a Dog Governess. The illustrations really caught my eye. I believe their is a French edition as well. Have you heard of it or the artist? We just found two amazing books. The first (for my six-year-old), Under Earth, Under Water, is a double sided, richly illustrated book by the makers of Atlas. So cool. 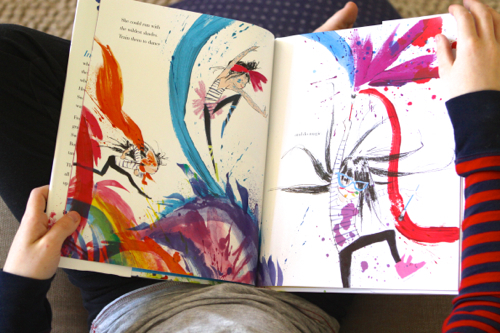 The second, The Fox and the Star, is a gorgeous keepsake book with a beautiful story. The illustrator is the same artist who created those lovely clothbound Penguin Classics. Sorry looks like these might not be available yet in the US?